Search-form presets - search for available 'economy' and 'compact' cars at the rental location 'Brno - Airport'. Address: Brno Turany Airport, Brno, 62700, Czechia. 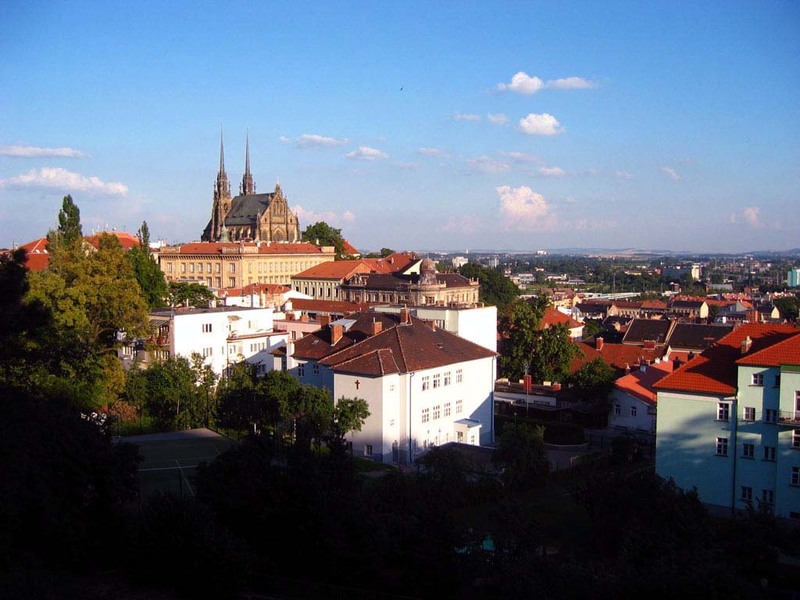 You can also select any of the 2 available rental locations in Brno using the white search form, or change the class of the desired low-cost vehicle to 'Mini' or 'Compact'. If your budget is limited, it is better to book a car in advance, since rental rates increase with decayed availability of vehicles. Quite often, the cheapest options of golf-class cars in Czechia can be found in airports. The most popular models representing the mini, compact, and economy car segments in Brno are: Peugeot 107, Smart Car, Toyota Aygo, Chevrolet Matiz, Hyundai Atos, Kia Picanto and others. When hiring a budget hatchback, it is definitely worth saving on insurance deposit (franchise). Deposits on small cars in Czechia vary from 100 to 1.000 euro/dollars. Check the rental conditions of each car in your selection to find a vehicle with a minimum deposit. If your routes in Czechia are foreseen to pass through hilly areas or mountains, it is not recommended to consider very small cars for rental. Their engines are usually insufficient for a confident driving on the roads with long or steep climbs. At the rental office in Brno, consider to take a 'Breakdown Assistance' package or ask an officer for a contact data to use in case of a vehicle breakdown. Cheap cars are sometimes unpredictable in operation. OrangeSmile.com wishes you a safe and great trip to Brno! If the blood alcohol content is more than 0.3 ppm, the amount of the fine will be significantly higher, and will vary from 25 000 to 50 000 koruny. In addition to the fine, the offender will be prohibited to drive vehicles from 1 to 10 years. The country’s government pays much attention to the condition of cars in the Czech Republic. You can be fined for the absence of mudguards on the wheels, a crack on the windshield and other minor problems, so you should treat such “trifles” with great attention. When choosing a place to park, you should always be very careful. This is particularly true about situations when you need to park your car in the city center or in the historic district. In central districts, the implementation of parking rules is closely monitored. If your car is parked improperly, it will be most likely sent to the penalty parking. Dominican Square ( Dominikánské náměsti ) also has its own little secret. From the square, you can easily get into two inner courtyards of the New Town Hall ( Nová radnice ). If you visit them in the evening, you will hardly meet other people in the picturesque yards. These courtyards are incredibly beautiful, here you can enjoy the beauty of exotic plants, take pictures of the building's picturesque facade and numerous sculptures in an atmosphere of complete solitude. If you want to take beautiful panoramic photos of Brno without paying for climbing popular observation platforms, be sure to visit Denisovy Gardens ( Denisovy sady ). They cover a small hill, being an excellent alternative to paid lookouts. Please pay attention to another unusual sight in Brno - its trams. Just watch the city trams or ride them. You will hardly find a pair of identical trams even for the whole day of walking through the city streets. Among tramcars running around the city, there are quite original antique-like ones, as well as ultramodern trams painted in all colors of the rainbow. If such unusual tram tours get you hooked, try to visit Brno during Transport Nostalgia festival. On this day, you can ride not only old historic trams but also mid-20th-century buses and even harnesses.